Change is coming. The web is being consumed by apps. Search is becoming a victim of its own success. The Internet of things is upon us and in the distance quantum computing is clouding the horizon. These changes will mean a shift of wealth. New winners, new losers. New monetization methods. New uses of data and machine intelligence. Where will it take us? Where will this all end? The presentation will end 20 years in the future with insight into how society will work, if machines will take over and what's left for humanity if they do. 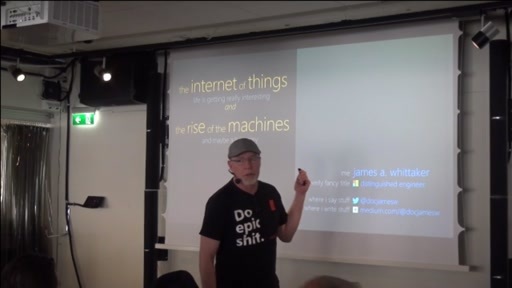 James Whittaker is a Distinguished Engineer at Microsoft. James Whittaker's career spans academia, start-ups and top tech companies and starts in 1986 as the first computer science graduate hired by the FBI. He is well known for his talks on The Art of Stage Presence and Career Superpowers. Before his current stint at Microsoft, he was an Engineering Director at Google, working on Chrome, Google Maps, and Google+. James is known for being a creative and passionate leader and sought after speaker and author. Of his five books two have been Jolt Award finalists. 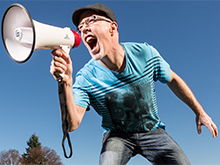 Follow him on Twitter @docjamesw.